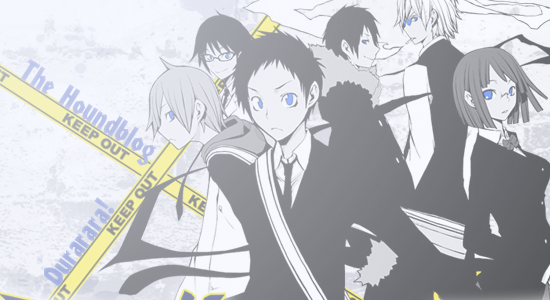 I think Durarara!! 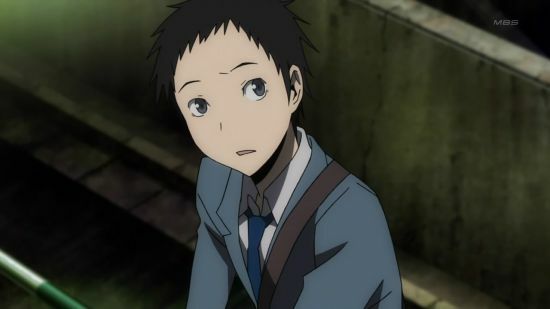 wants us to see Mikado as the hero of the whole adventure, the spunky protagonist who could make or break it all. And you know what? I don’t find him likeable in the least, especially in this episode. Watch this episode and you tell me: nice guy or self-centered jerkface? 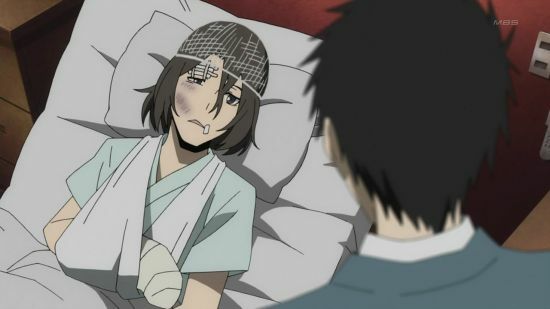 As the episode opens, we see Mikado visiting that friend who got beat up (presumably to assuage his own guilt) and the guy is in bad shape (I guess the hair net is to hold the brain matter in his head?). Luckily he’s coherent enough to have a conversation about the Dollars and how he’s quitting because it’s no longer a “colorless” gang – which he says while staring forlornly at a grey, stormy sky, but despite the overt head-smashing metaphor happening I like the sentiment. 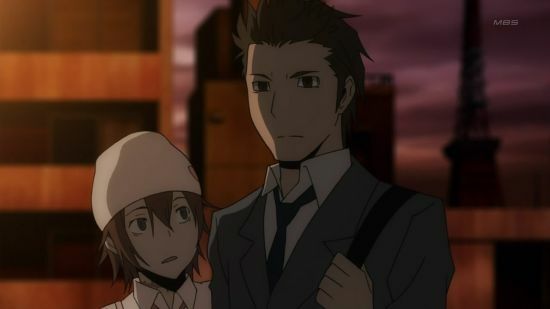 As he leaves the hospital, Mikado thinks back to what Izaya said to him “back then” when he did the whole mass-text to the Dollars members: essentially, you can’t stay the person you are now and make all this work, you have to be open to change for better or worse. It’s sound advice and would mean a lot more coming from someone who wasn’t devoted to chaos and heartbreak. Oh, Izaya. Back at the bat cave, Kida is enduring a lot of whining from the Yellow Scarves members about his lack of action. 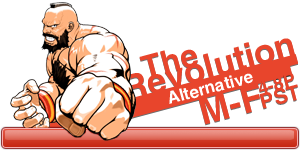 They demand retaliation, he says no more violence. They want him to work harder to find out who the Dollars’ leader is, he says be patient. We know he already knows and we also know that he knows that it’s a terrible idea to let on to the gang at large that he knows. He’s not a total idiot, I’ll give him that. We also learn that the Doc knows every detail about what’s going on. Uh…weird. Sonohara decides she needs to help, so she uses her Saika powers to possess various Yellow Scarves members and prevent them from beating up Dollars members, which is a pretty good idea. Unfortunately, a few Yellow Scarves members see her interacting with others before they get all crazy and report back to Kida about her. 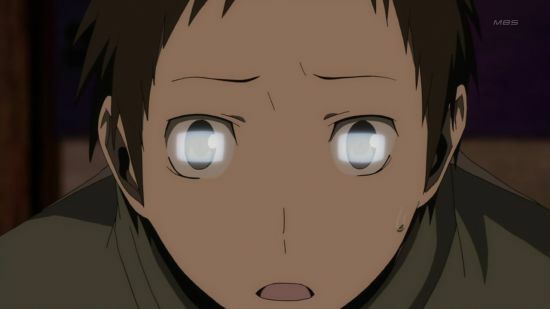 Based on a physical description, Kida realizes who they’re talking about and he’s shocked, to say the least. Sonohara? Involved? Not a helpless victim? Perhaps a badass in her own right? How can this be?! He instructs the gang to leave her alone until he says otherwise, but…come on. Let’s be realistic here. 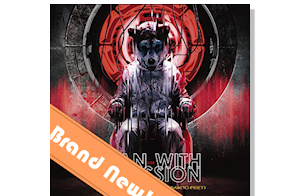 Mikado – walking alone again, tortured and sad, boohoo – has a bit of reflection time about his experiences in the city. He feels at home in the city finally, but still isn’t a happy camper. I mean, all his friends are off doing other things. He’s so lonely. As he’s about to start sobbing, he runs into Seiji and Not-Selty. She asks him, what’s up with Sonohara lately? He, of course, has no idea that there’s anything up with her. You have to wonder about this guy – he seems like a really crappy friend, totally wrapped up in himself and oblivious to other people. Sonohara noticed the change in Kida, and this girl noticed the change in Sonohara, but Mikado doesn’t notice anything except his own pity puddle. Jerk. Before they leave, Seiji joins the conversation with a little man-to-man love advice: if you love her, don’t turn your back on her no matter what happens. Not sure if he has some kind of inside information or if it’s just the heavy hand of the writers at work. Maybe we’ll find out eventually? As the Yellow Scarves prowl the streets feeling grumpy about their inaction, they stumble on Sonohara. What luck! (RUN GIRL RUN) At the same time, Mikado is across town feeling sorry for himself. He turns to the Dollars message board for comfort, sort of. 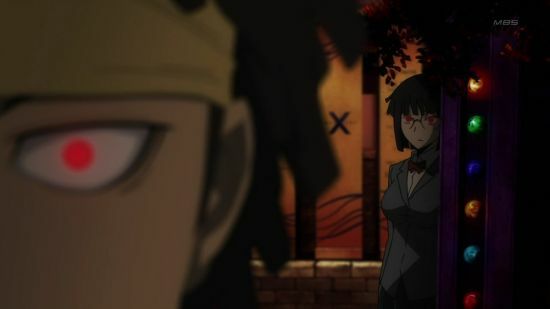 There’s a conversation unfolding about people wanting to quit and people seeking leadership and some people – people like Mikado – urging a return to the shiny happy ideals of the original Dollars (and some other people saying helpful things like “go die” – OK, I admit this scene was pretty funny). 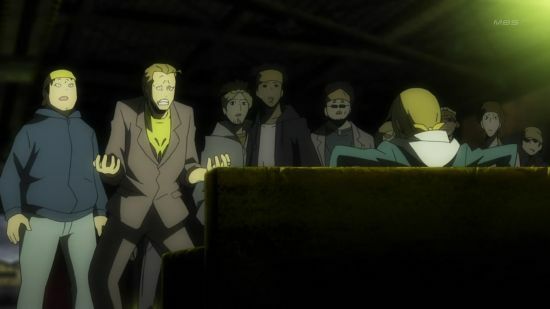 Then someone posts about a girl – matching Sonohara’s description – being rounded up and taken away by the Yellow Scarves. 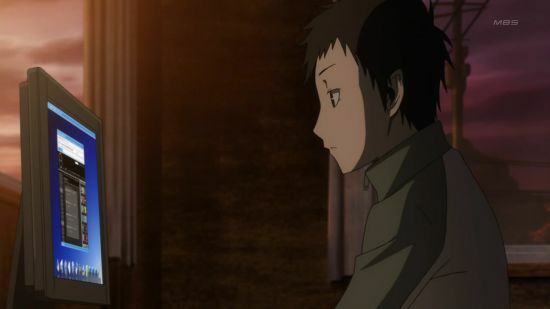 Mikado realizes that it’s her, but instead of rushing out the door to help he stands very dramatically at his window…breathing…and thinking? Dude, seriously, pick up the nearest lead pipe and go save your lady! Though there are some little moments of humor stuck in here and there, you can’t deny that this series has gone to a very dark place. (Literally and metaphorically – when was the last time we saw sunshine? Everything is rain clouds and dark sky and harsh shadows now.) 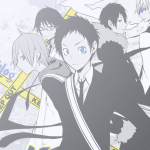 For me, that’s not a negative (can you imagine how sucky Durarara!! would be if it was more comedy that drama? ugh), but I can’t help but wonder just how dark it’s going to get. Only a few episodes left…soon we’ll have all the answers. Actually, we’ll probably only have some answers and a lot of lingering questions and frustrations and loose ends and other ends that have been rigged to a conclusion in ways that are unsatisfying and stupid. But I’d love to be proven wrong. Shizzy laying on the ground bleeding?? What??? WHAT?!?!?!?!? !